Our AC repair professionals understand that your patience can wear thin quickly when it gets hot outside, and no one likes being hot under the collar. Your comfort should never be compromised, which is why we’re available 24/7/365. AC Repair doesn’t have to be a problem. We’re ready to take on any AC repair issue that comes up. Our technicians are certified to service all brands of air conditioners, so you know you’ll be getting the best AC repair in New York City. And with a written 100% Satisfaction Guarantee you have nothing to lose. 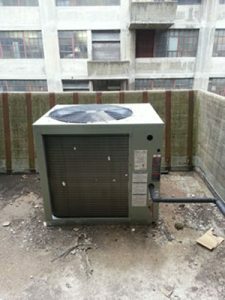 Thinking about replacing your air conditioning system? Upgrading your current system is actually more affordable than you may think, so why wait? We’ve made it easy for you to schedule a FREE estimate too. Just call us to schedule an appointment and we’ll work with you to make your home cool, energy efficient, and the most comfortable it has ever been. Who doesn’t like being comfortable? Keeping your home or business cool plays a big part in your comfort during the summer and we’re here to help ensure you maintain the level of comfort your desire. Choosing an ENERGY STAR® qualified air conditioners will keep your home or business the perfect temperature while giving you a quiet and efficient system that helps reduce your carbon footprint at the same time.